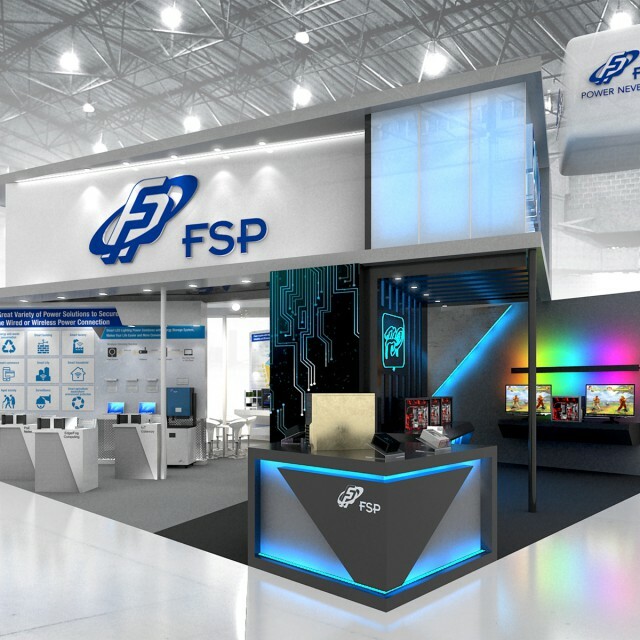 FSP announces stellar Computex 2018 power supply line up New power supplies for 5G, IoT, blockchain and gaming to be shown in Taipei | FSP TECHNOLOGY INC.
【Taipei, May 29th, 2018】FSP, one of the world's leading manufacturers of power supplies, is pleased to announce an extensive range of products for the Computex 2018 show in Taipei, Taiwan, from June 5 to 9. In this event, FSP will be showing comprehensive power solutions, based on cooperation with many major brands, to cater for the new generation of 5G, blockchain and IoT products. For the highlight of the year, FSP has a full range of power supplies ready for the IEC/EN 62368 standard (https://standardscatalog.ul.com/standards/en/standard_62368-1_1). The newly launched water cooling 850W PSU also offers a spectacular visual effect for gamers. Fifth generation mobile networks and fifth generation wireless systems will be the key focus of Computex 2018. In the days of 3G and 4G, networks were mainly built from larger wireless nodes. For 5G, the focus has turned to more flexible outdoor cell sites based on more compact hardware. Therefore all 5G equipment must be able to take on environmental challenges such as with high temperatures, dust and humidity – FSP offers easily-installed 5G cell site power supplies. These products are ideal for new 5G cell site power applications. FSP has the capability to meet 5G power supply OEM and ODM requirements, and provides small, thin, fanless, swappable designs for outdoor systems. FSP is ready for the challenge to customize its products for telecom customers and the others, in order to gain International Protection Markings, IEC 60529 and IP65. For IoT customers, FSP provides a variety of power solutions to support wired or wireless applications. FSP will be sharing successful products, stories and case studies at the Computex booth to show guests the company's capabilities. FSP offers products such as IPC, adapter, open frame and more for diverse clients and wide-ranging IoT requirements. To match client requirements, FSP can customize almost any feature, including offering a choice of PoE, PMBus and USB connectors, a wide range of fan speeds, voltages and amperages, numerous safety and security features, plus statistics and loading record features. For today's power-hungry GPU, blockchain and cryptocurrency mining tasks, FSP's high wattage power supplies are ready with the reliability and efficiency required to support the demanding applications far into the future. FSP's outstanding features for this sector include simple GPU 12V output power, data center quality, PSUs for both ASICs and GPU, one to multiple output, 18pin and LED real-time signal to help users easily understand their device's power usage. Last year FSP announced the world's first 80PLUS water cooling PSU, the Hydro PTM+ 1200W. Now FSP also has the Hydro PTM+ 850W water cooling PSU for gamers. Outstanding features include RGB lighting support for various motherboard control standards, smart fans that automatically start when loading is over 50 percent. In fact, the Hydro PTM+ 850W water cooling PSU can support overclocking up to 1000W when water cooling is installed. In this year, FSP also invite the world well-known modders to show their fantastic PC builds with the visitors, including Korea's modding champion who is looking forward to your visit.